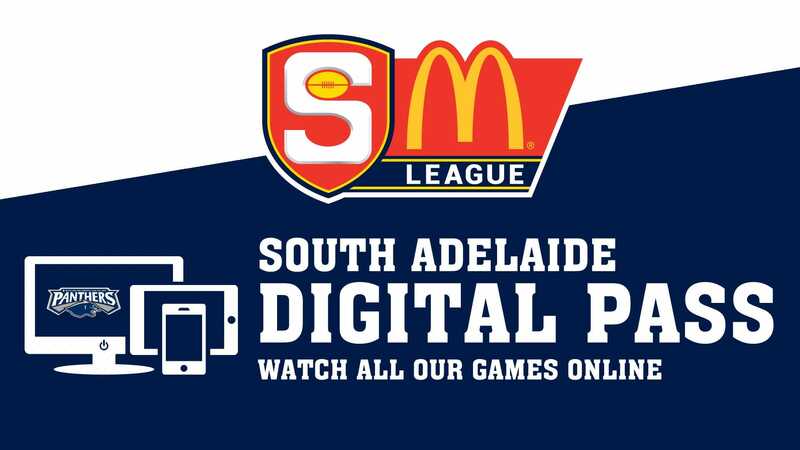 South Adelaide are set to face coastal rivals Glenelg in a pivotal Round 13 SANFL Macca's League fixture at Gliderol Stadium this Saturday afternoon. 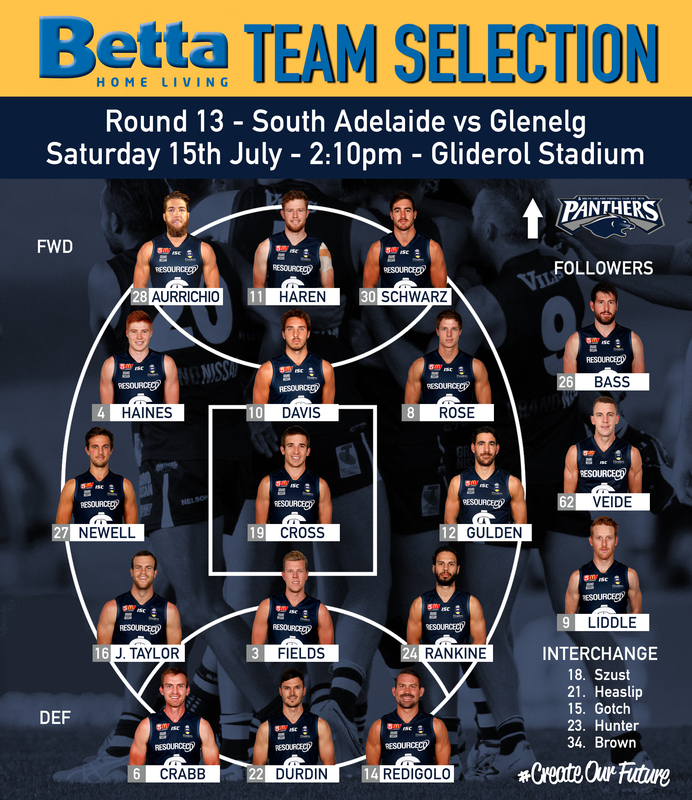 The Panthers will unveil their eighth debutant for the season, with big American ruckman Alexander Aurrichio (Northern Blues - VFL) set to be unleashed at Gliderol Stadium. Also coming into the side is veteran midfielder Xavier Gotch, who missed Round 12 with a groin complaint. Meanwhile, Tyson Brown has also been rewarded for his strong showings in the Reserves since returning from a hamstring injury. Both have been named on an extended bench. The only confirmed omission at this stage is spearhead Sam Overall, who has been forced to the sidelines with a knee injury after falling awkwardly in a marking contest against the Bulldogs. Get groovy with us at our 2017 Major Fundraiser - Last Chance Tickets! The Reserves will welcome another Under-18 to the fold, as Nathan Beenham prepares to make his senior debut. 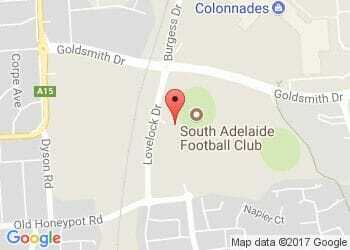 Meanwhile, South Adelaide's Under-18s will simultaneously be in action at Hickinbotham Oval as do battle with the Tigers from 11:25am. Mid-Year Madness Merch Sale - All ISC gear now 10% off. 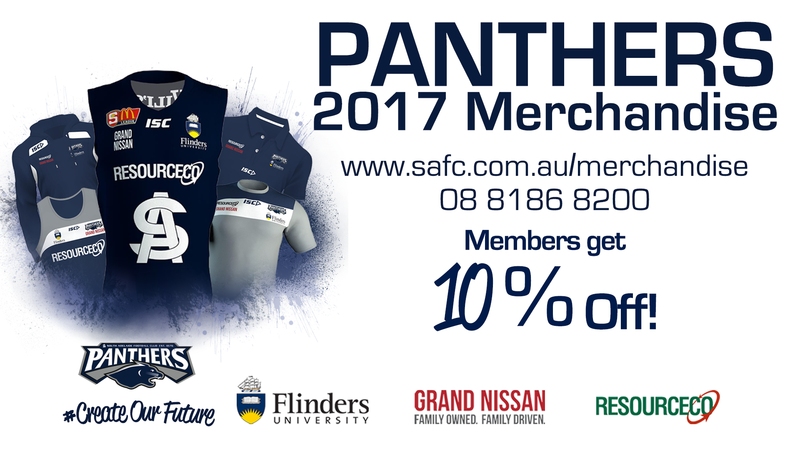 Members discount increased to 15%!